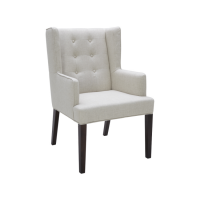 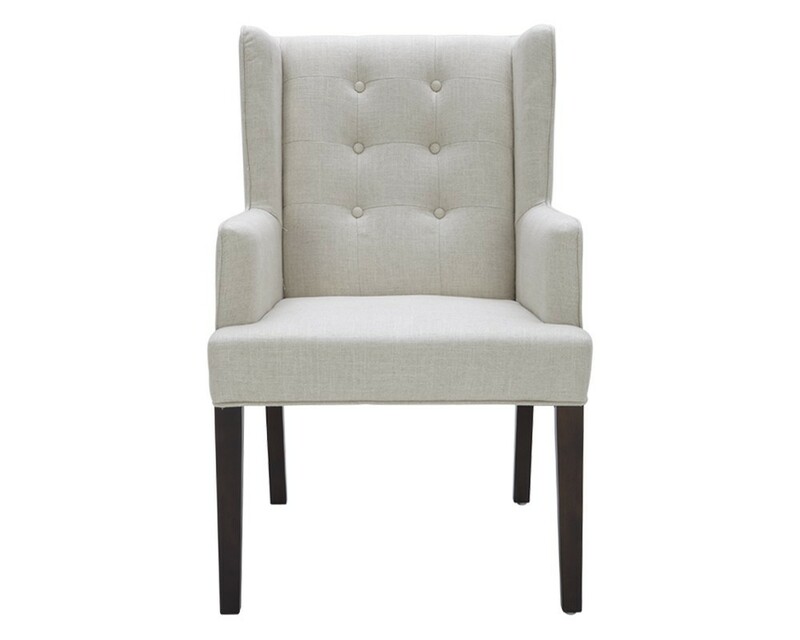 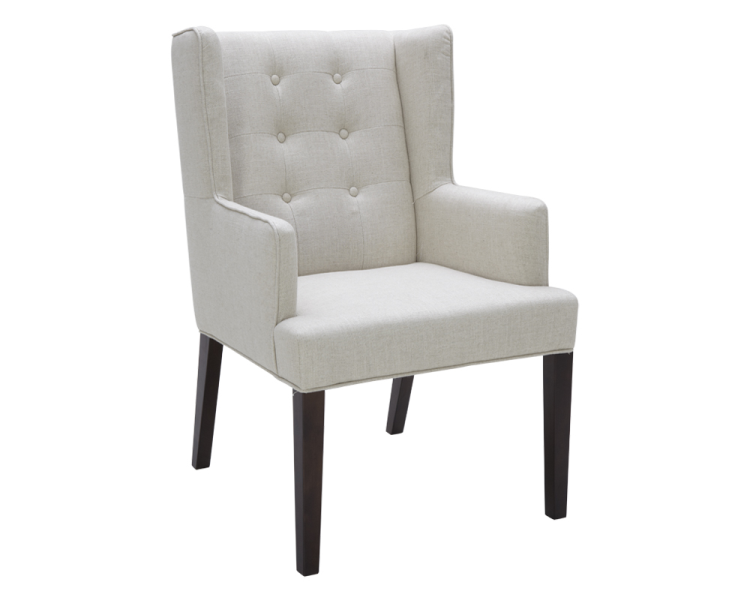 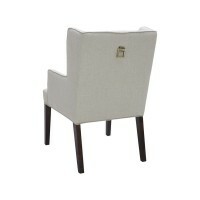 This classically designed armchair features button tufting and a decorative square brass ring on the back. 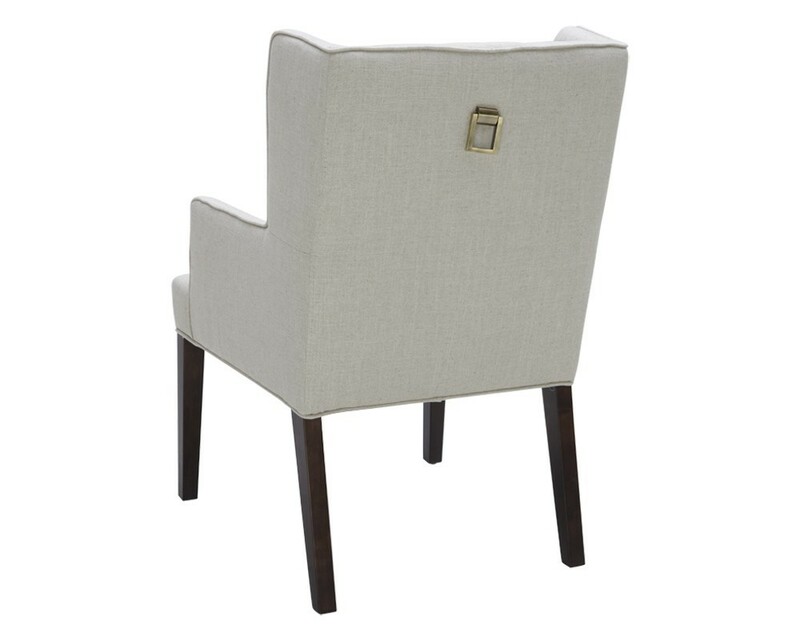 Stocked in a neutral linen-look fabric and our new rhino grey fabric with espresso finished legs. 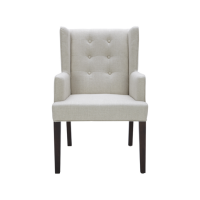 Section Title: "80% Viscose, 20% Linen"